Low Back Pain is a primary reason for most emergency room visits in the United States. This statistic does not include the frequent visits to doctor’s offices and urgent care facilities as well. 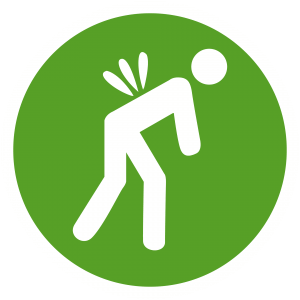 For varying reasons, nearly 40% of our population will experience back pain every year. It affects the young and aging populations, the healthy and chronically ill, the active and sedentary, and at times can come from no significant trauma. You should seek medical attention if you are unable to do the following: control your pain, carry on throughout your typical daily activities without compensation/abnormal movements, perform your work or daily activities safely, sleep without pain, concentrate on tasks due to the pain, walk normally; or if the pain has been intense, and plateaued for more than a few days. Urgent care facilities can be a quick and efficient first stop to begin your start of care if you are unable to see your primary care doctor. Back pain can present in many different ways stemming from a variety of different pain sites commonly including, but not limited to disc herniation, facet joint irritation, muscle tension and inflammation, or sacroiliac joint dysfunction. For each of these pain generators, the pain they produce can fluctuate in each individual and may present differently depending on the patient’s age. This article will list these common presentations in more detail along with a “red flag” category. pain can be a common issue with a disc herniation, its presentation may vary significantly depending on what area of the nerve is affected and the severity of injury. It’s important to note that the stereotypical pain referred into the leg is not always present with a disc herniation. Disc herniations are more common among a younger population with an average age in the mid 40’s. Research has shown that as age increases, it is less likely that the disc herniation may cause thigh pain. A disc herniation will resolve in most cases in about 6 weeks. Injury or age-related break down of our facet joints in our spine cause issues as well in the lower back and can also produce pain referral into the legs. The facet joints connect the bones of our spine in a vertical stacked position, allowing for bending and rotation between each segment. Our nerve roots exit the spine through these joints. Facet Joint Syndrome is also referred to as osteoarthritis and is typically seen in a population over the age of 60. According to recent reports, this too can cause referred thigh pain, especially as the person’s age increases. Muscle strains and imbalances can also be debilitating at times and may be associated with any of these other mentioned issues as a secondary problem. With muscle related involvement, the pain can be local if focused at a trigger point or at the muscle’s origin or attachment point. It can also be diffuse and cause radiating pain that can easily mimic any of these other conditions mentioned in this article. 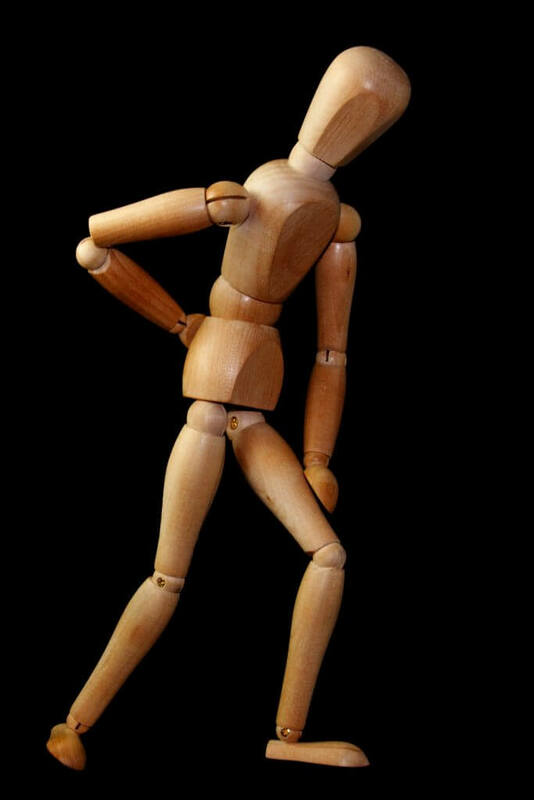 Pain isusually present with certain movements or positions. It usually increases in intensity after prolonged sedentary positions and may calm down and decrease with movement or activity. Common reports are more pain in the mornings that slowly recede throughout the day. A more recently investigated pathology that can also mimic many other low back issues with similar pain patterns is the Sacroiliac Joint (SIJ). It consists of the large triangle shaped bone at the end of our lumbar spine that eventually ends in our tailbone. The SIJ connects the sacrum to the ilium which forms our pelvis that connects to the hips on either side. The likelihood of having an SIJ related issue also increases with age up to about the age of 55. Although commonly thought of being an issue post-partum, this particular injury can occur with a wide variety of patients both male and female. While uncommon, pain in the lower back and lower extremities can be a more serious issue outside of orthopedic involvement and should be addressed immediately. Signs of red flag conditions to promptly notify your doctor of include significant trauma, unrelenting pain in all positions including lying down, bowel or bladder changes, recent unexplained weight loss, fever significant weakness in one or both legs, pain that wakes you up while sleeping, recent unexplained weight loss. Your pain will be managed depending on what appears to be the source of your pain. Some doctors will treat with medications and palliative care such as physical therapy before sending someone out for further testing. If your doctor feels it is warranted, they may send you out for testing before you begin your rehabilitative journey to rule out any of the red flags. Outside of possible medication from your doctor to manage pain; physical therapy, chiropractic care, massage, and acupuncture may help relieve the symptoms when you are ready for the rehabilitative recovery portion. Some attend a combination of the previously mentioned therapies and this can depend on what therapeutic intervention the particular doctor has seen work for his or her patients or certain professionals they have had good results with sending previous patients to. Back pain is extremely common and at some point, the majority of us will feel it in some capacity. The sooner it is looked at by a health care practitioner and is fully rehabilitated, the more likely you can prevent it from reoccurring. Casser, H.R., Seddigh, S., Rauschmann, M. (2016) Acute Lumbar Back Pain: Investiation, Differential Diagnosis, and Treatment. Deutsches Arzteblatt International, 113:223-34.